4.The stitches are worked closely and the starting and ending of the looping threads are worked at different points in these samples. The looping thread ends before the starting point in the first row, they end after the starting point in the second row, both points are different in the third row. The third row is very interesting. 5.The eastern stitches are worked on v-shaped foundation bars in these samples. They are further worked in different ways on two rows of arrowhead stitches in the second and third samples. 6.Eastern stitches are worked on other stitches –herringbone stitch, buttonhole stitch and zigzag chain stitch in these rows. 1.The basic stitch is worked in the first row. Eastern stitches are worked closely in the second row. 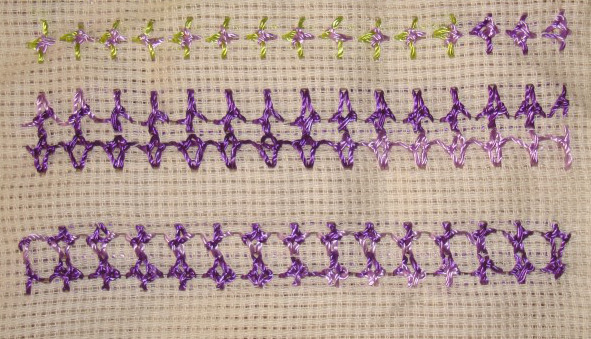 Set of three eastern stitches worked at an angle in the third row. 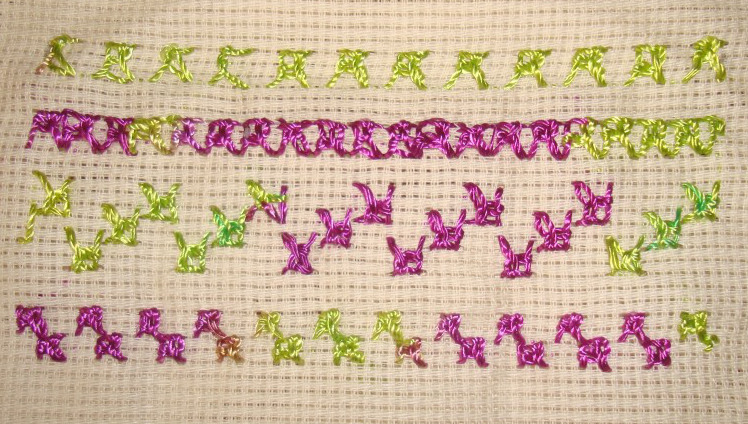 Two stitches are worked together in a pattern in the fourth row. 2. Set of four stitches worked in the first row. Stitches are worked alternatively in two colours. 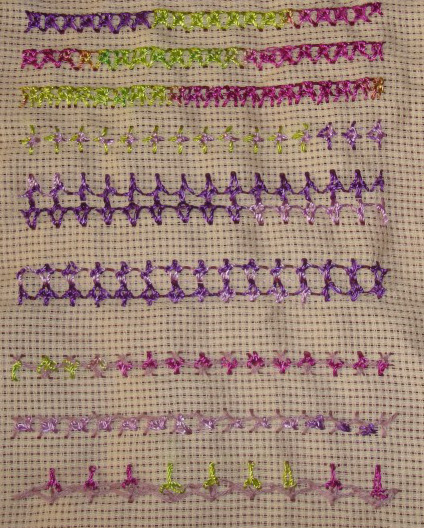 In the third row, the stitches are worked in two strands. 3.The looping stitch is worked shorter than the foundation bars in the first row. Looping thread is worked longer in the second row. These two variations are alternated in the third row. 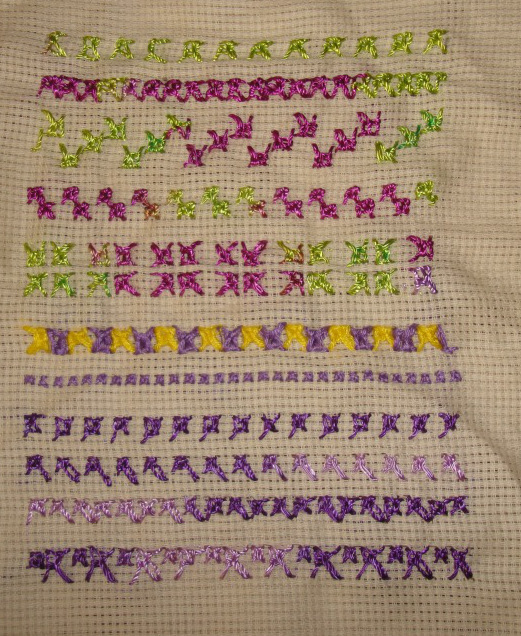 The large and small versions of the stitch are alternated in the fourth row.